Whoopee! New garden tick – well it flew the garden into a field where the farmer has been harvesting spuds. 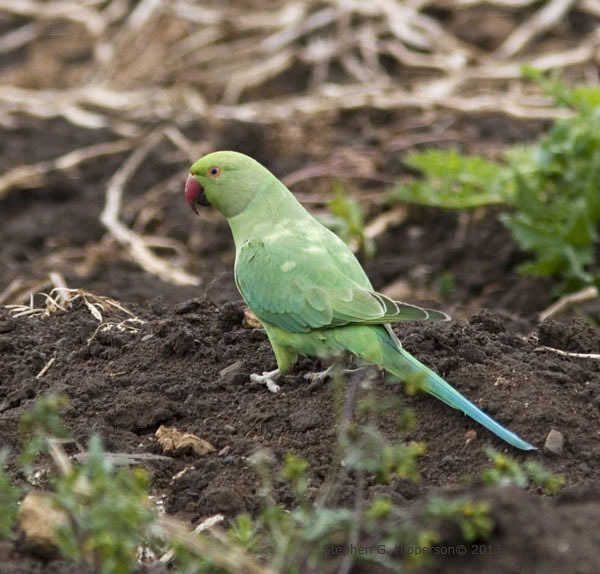 I’m pretty sure this is a Ring-necked Parrot (I’m happy to be corrected on that). Common-ish down South in the UK but not so many up here in Yorkshire, though they have been seen.